More than two dozen shots can be heard in the video, which was filmed by eyewitness Noah Nathan. His video contains graphic language. “Do we know where he’s at?” Nathan says to a person off-camera, in reference to the gunman's location. "I assume people have been calling 911 already," he added. At one point, a man is seen lying in the middle of the baseball field, located in Alexandria, Virginia. "Is that guy ok out there? The guy... who's been shot. Is he ok? Is anybody talking to him?" Nathan asks. Numerous gunshots continue to be heard, with several short breaks between firings. 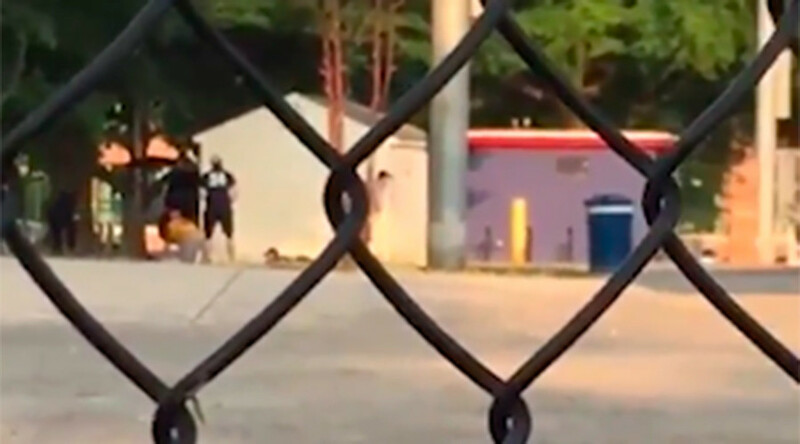 People are seen huddled around the man lying on the baseball field at the end of the video, while sirens are heard in the background. Nathan told the New York Post that he filmed the video from the dog park next to Eugene Simpson Stadium Park, where the GOP congressmen were practicing. He said he was more “pissed off than scared” during the attack. 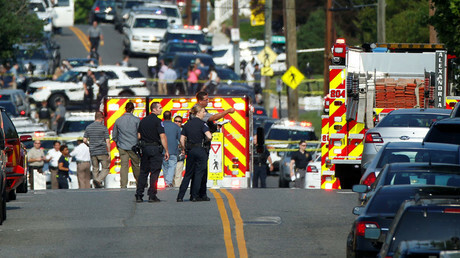 Five people were injured in the attack, including Scalise, who was loaded into a helicopter on a stretcher. He is in critical condition after undergoing surgery. The shooter, identified as 66-year-old James T. Hodgkinson of Belleville, Illinois, later died from his injuries in hospital, FBI Special Agent Tim Slater said. He had multiple gunshot wounds to his torso.